On most winter days, 90% of the skiers at Silverton Mountain are men. A gathering this month all but flipped that ratio at the notoriously steep Colorado ski area. 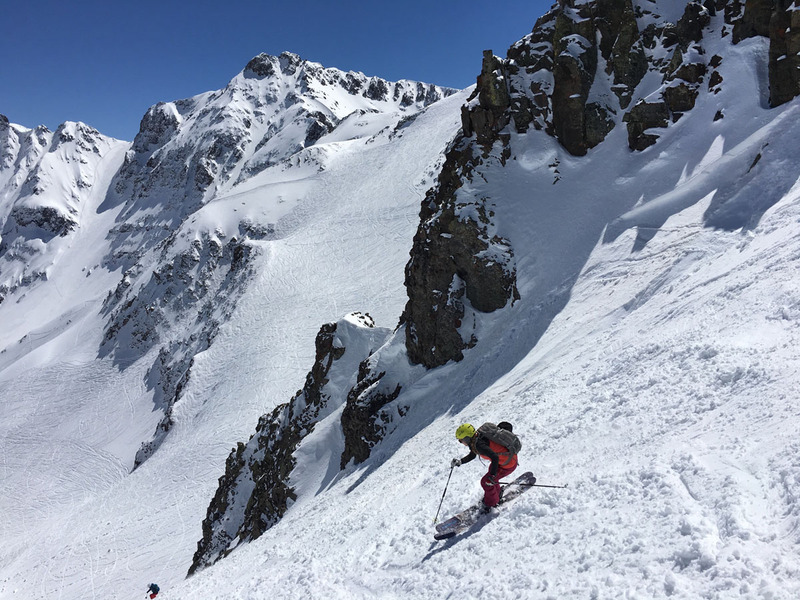 On April 2nd, a callout to ski and snowboard at Silverton Mountain netted the largest female presence the resort has ever seen. 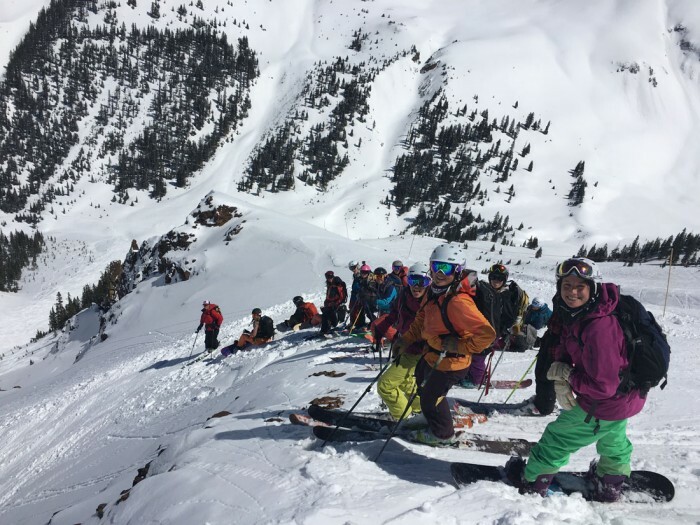 In all, 80 women from around the country came for the Sisters’ Meeting In The Mountains to shred the 1,819-acre backcountry playground’s bowls, chutes, and couloirs. It was a chance to break gender barriers and reform stereotypes, exemplifying the diehard community of expert-ability women that exist often under the radar because the demographic is dispersed. Mountain communities are often comprised of more men than women, and expert-level women often ski with men. Raised in Telluride, Colorado, I have been an avid skier and snowboarder for 22 years, and most of my days on the snow have been with men. The Silverton event was a chance to get expert women together. I appreciate adventuring on the resort slopes or into the backcountry with incredible people, regardless of their gender. I also do not wish to replace my male comrades. But, as a woman in a male-dominated sport and industry, it’s essential for men and women to see that females are just as capable as men in the backcountry and in navigating difficult terrain. “I [want] women to know that they are strong enough to heli-ski and to climb to 13,000 feet — maybe even more than once in a day. I want women to be inspired, meet friends and mentors that will help them break barriers, and continue to shake up the planet’s lame stereotypes,” said Jen Brill, Silverton Mountain Co-Founder. Silverton Mountain needed (and still needs) a larger female presence. Silverton is an experts-only mountain. The area’s top-most point is 13,487-foot Storm Peak, and the iconic hike to The Billboard ends at 13,001 feet. At what could very well be North America’s steepest resort — with no cut trails — folks are required to carry a shovel, beacon, and probe, and the lift operator performs a beacon check on each person before the chair sweeps by. There are no groomers, only steep, natural terrain that is largely accessed by hiking. The now 600-person town lies 48 miles north of Durango in the belly of the San Juan Mountains and — not unique to this mountain community — the gender ratio is lopsided with more men that frequent the mountain than women. For the 2015-2016 season, the mountain offered 13 unguided days (when skiers and riders can enter the mountain sans guide, though guides are still bookable), and 67 days of guide-only access. On a guided day, an average of 10 out of 100 skiers are women. That portion might bump up to 25 percent on an unguided day. This year’s event attendance doubled from 2015. Adventurous women flew and drove from across the country including Utah, New Mexico, California, Pennsylvania, and towns across Colorado. 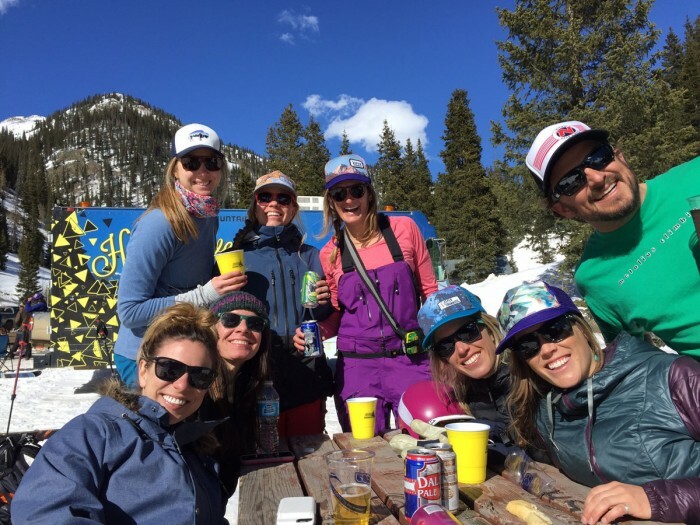 Brill, Silverton, hatched the gathering 11 years ago, inspired by a former all-ladies networking event for snowboarders, Gathering of the Goddesses. She was eager to expose women to Silverton’s unparalleled terrain, boost ladies’ confidence in their backcountry abilities, and to build a web of like-minded women. For the first eight seasons, fewer than 10 women appeared. In 2015, the group size increased to 40, and Teton Gravity Research also rated the Sisters’ Meeting as the number one “ski camp” for women. This year, Brill and her team secured professional skier Grete Eliassen as the event’s speaker and started marketing early, and many attendees from last year returned with friends. 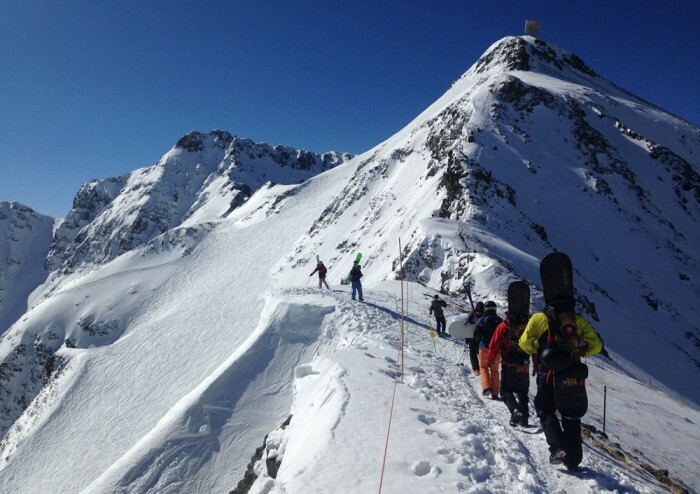 Certainly, Silverton Mountain is an ideal mountain to challenge anyone’s skills. In 2001, Brill and her husband, Aaron, installed the hand-dug lift 20 miles north of Silverton town at the dead end of a dirt road. The single lift unloads people at 12,300 feet where they can choose from several immediate runs or boot pack up the ridgeline. Most of the year, skiers are required to hire a guide to access the mountain, and helicopter drops are available. “A lot of local skiers were impressed by the athleticism of the women, and the general conversation was about ‘how many women there were ripping on the mountain,’ rather than commentary on there being ‘women at the mountain,’” said Brill. One group hiked 701 vertical feet to The Billboard and then twice to Tiger Claws, another 350 vertical feet. “That is an impressive amount of vertical for any group,” said Brill. Other locals loved the energy and laughter the girl groups brought to town, Brill said. “What a refreshing change from the normal testosterone-driven environment at Silverton Mountain. This was a welcomed addition to Silverton Mountain Unguided, and we look forward to next year’s event,” said Austin Lashley, Owner and Head Brewer of Avalanche Brewery Company. He noted that the event is also a positive boost for Silverton’s slower winter economy. “Every event helps the entire community thrive. It’s always excellent to see new people in town and for every business owner it is beneficial,” he said. And vice versa. Silverton’s community helped the Sisters’ to thrive, too. And, paradigm-shifts aside, it’s an awesome excuse to go rip mind-boggling mountains in a slice of North America’s most incredible terrain. –Silverton Mountain — advanced and expert-only terrain, 400 inches annually — requires reservations. Guided skiing ($139) runs January-March. Unguided skiing ($49) is available December-January and early April. *Guides are available year-round and required to access out-of-boundary terrain. The Sisters’ Meeting is held annually the first weekend of April. Learn more at silvertonmountain.com or get involved with Sisters Meeting in the Mountains.